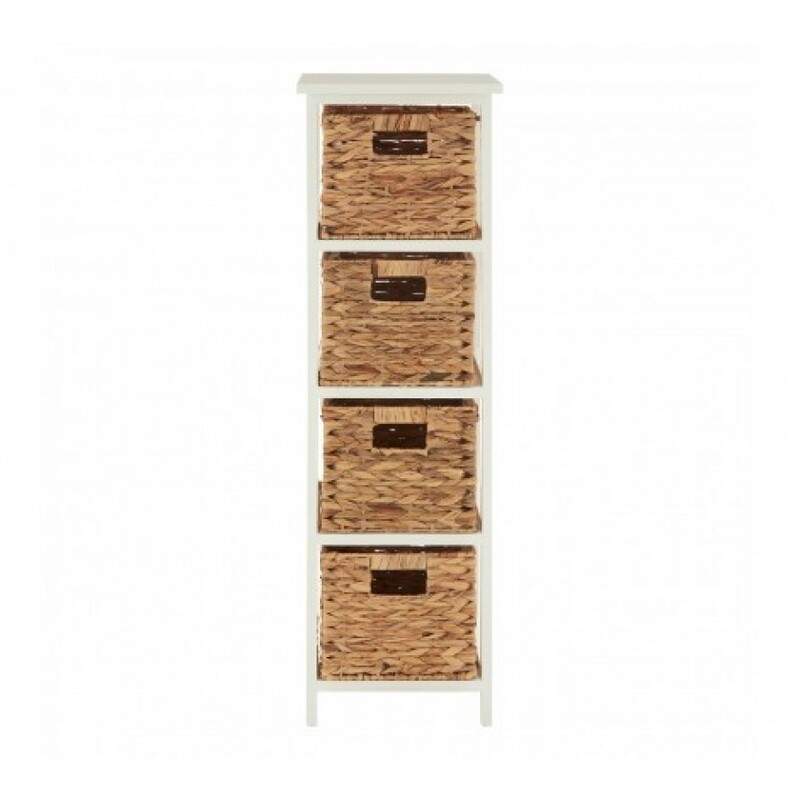 The Padstow's unit is notable for its uncomplicated design, utilising sustainable paulownia wood to create a strong, secure home for its four storage baskets. The baskets are made from eco-friendly water hyacinth, with a distinctive lattice design that forms a chevron pattern. Each basket features a large cut-out handle, making them easy to remove and replace.